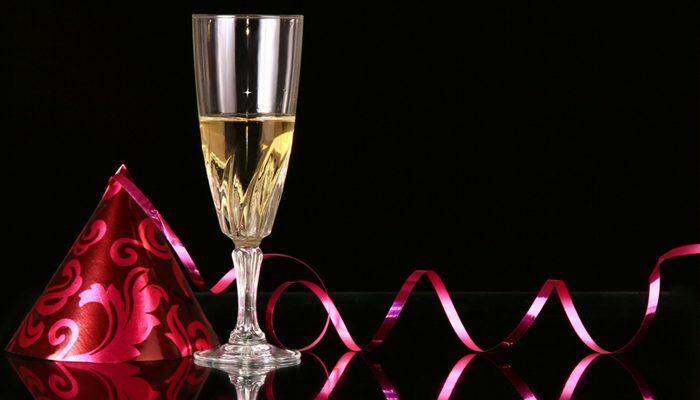 New Year’s Eve parties can be very expensive to attend. Expensive enough to make you wonder where all the money you spend is actually going? It’s usually a promoter’s pocket, but this year there are two major New Year’s Eve parties that want you to party with a purpose. 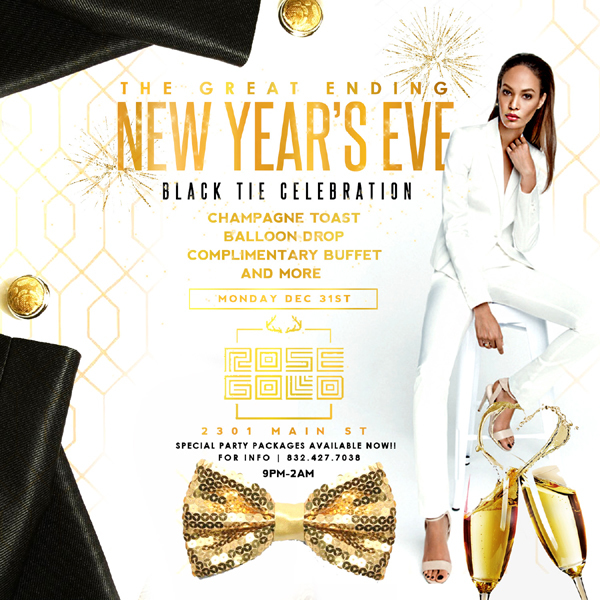 We are celebrating the end of 2018 in style with “The Great Ending – New Year’s Eve Black Tie Celebration” at the luxurious Rose Gold, located in Downtown Houston. The night will include sounds from some of Houston’s top DJs, a champagne toast, balloon drop, a complimentary buffet and much more. A portion of the proceeds from The Great Ending will go to feeding the homeless of Houston. For more information call 346.717.3141. 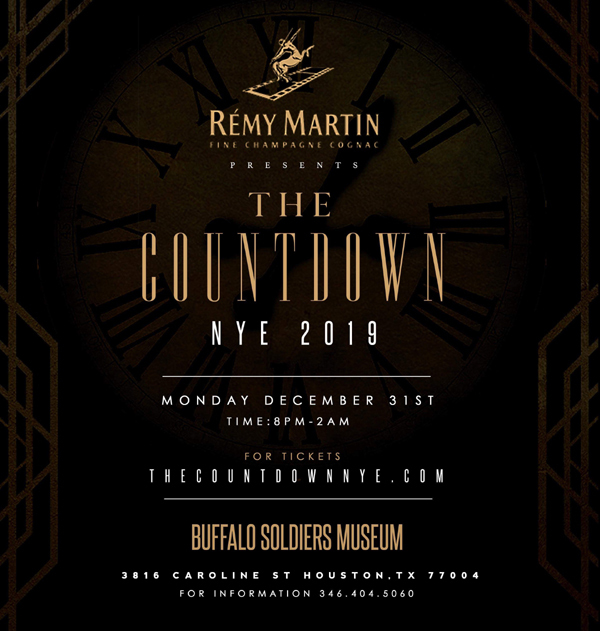 Vic&Cos invites party people to the Buffalo Soldiers Museum for an ultimate celebration of the upcoming 2019. There will be plenty of space for everyone at this three-floor venue, complete with four party rooms and a special VIP lounge. To capture the excitement, party animals will be welcome to use the on-spot photo booth. Guests can feel like Hollywood stars as they enter the posh party through a red carpet entrance. 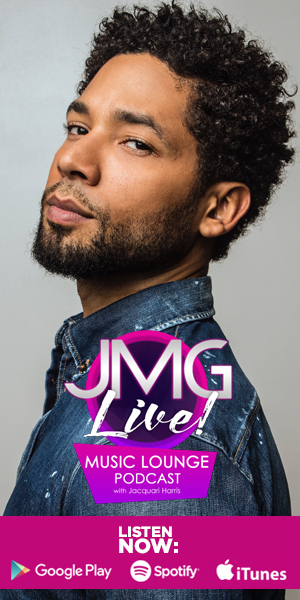 One can just throw on their most dazzling attire, hit the floor, and dance the night away to the boogie rhythms by Houston’s best DJs. Tickets for The Countdown start at $80. For more information go to www.thecountdownnye.com. For more information contact 346.717.3141. A portion of the proceeds from The Countdown go towards the non-profit organization, Mia’s Closet. For more information contact 346.404.5060. 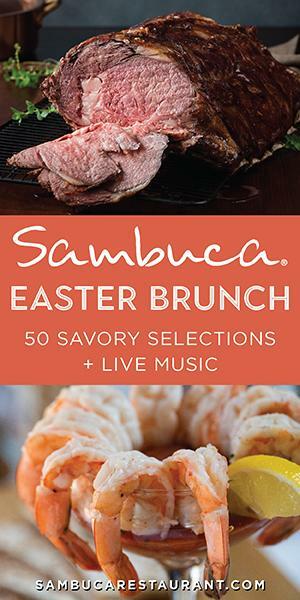 Want to stay up-to-date with even more events happening this holiday season? Let Blacklist Marketing Group point you in the right direction. Go to www.blacklistmarketinggroup.com more hot events happening in Houston.